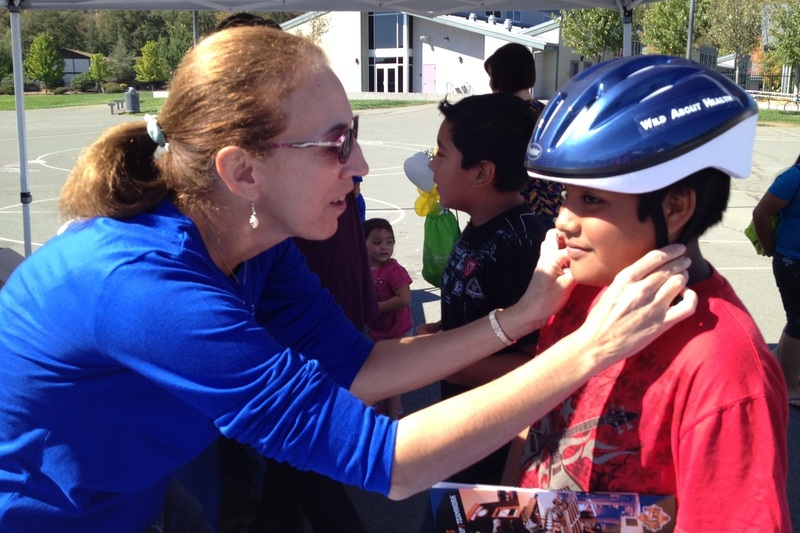 faces were seen throughout the day as kids participated in activities, which included receiving a free bike helmet and riding through the bike safety course. 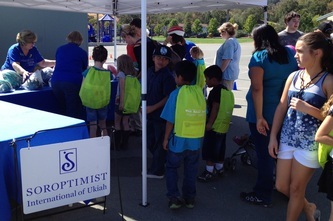 Soroptimist International of Ukiah was pleased to provide funding towards the purchase of the helmets again this year and many of our club members enjoyed helping the day of the event. 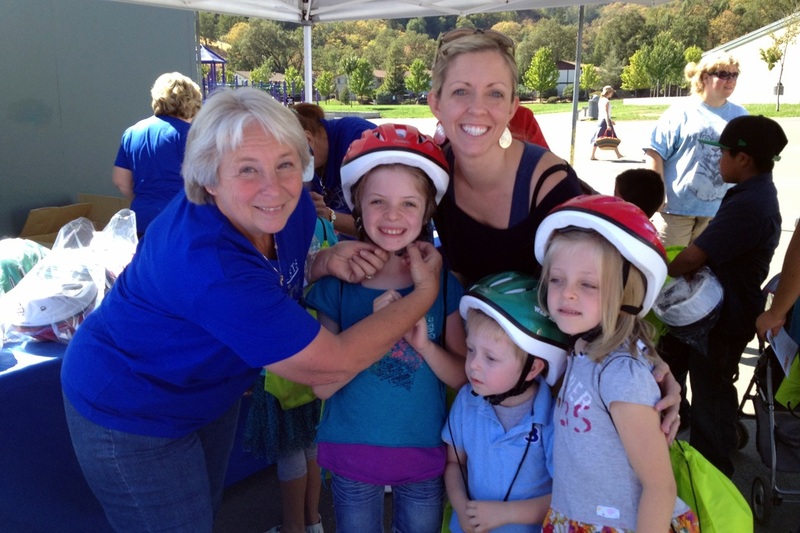 More than 200 bike helmets were distributed to children in the community. 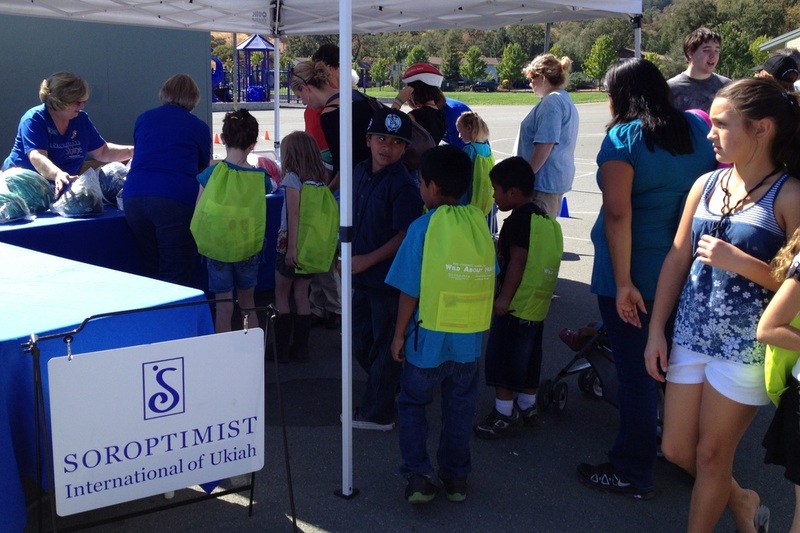 On Sunday, October 9, Ukiah Valley Medical Center and the Savings Bank of Mendocino County, along with a coalition of community organizations hosted the third annual Free Children’s Health Fair, “Wild About Health” at the Alex Rorabaugh Center on the Grace Hudson Elementary School campus.“The weather was perfect for families to come out and enjoy the event,” said Terri Boudreaux, this year’s event organizer. Over 400 children and their families participated in over 40 activities including free health screenings for dental, vision, diabetes, and hearing.Shriner’s Hospital with the help of Dr. Ziad Hanna and staff were able to screen children for services offered by the Shriner’s Hospital for orthopedic, burn and cleft lip and palate maladies. 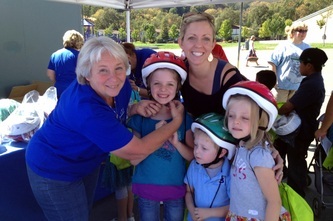 dedicated to keeping their children healthy and safe, all while their kids participated in fun-filled interactive activities throughout the day,” said Boudreaux. Families enjoyed great performances from the Taiko Drumming group and the Baile Folklorico – Latino Youth Group.Clowns provided by the Shriner’s Hospital entertained everyone with their balloon animals. Lucky Supermarket, Pacific Outfitters, and Boys and Girls Club. Look for this valuable community event to take place around the same time next year!